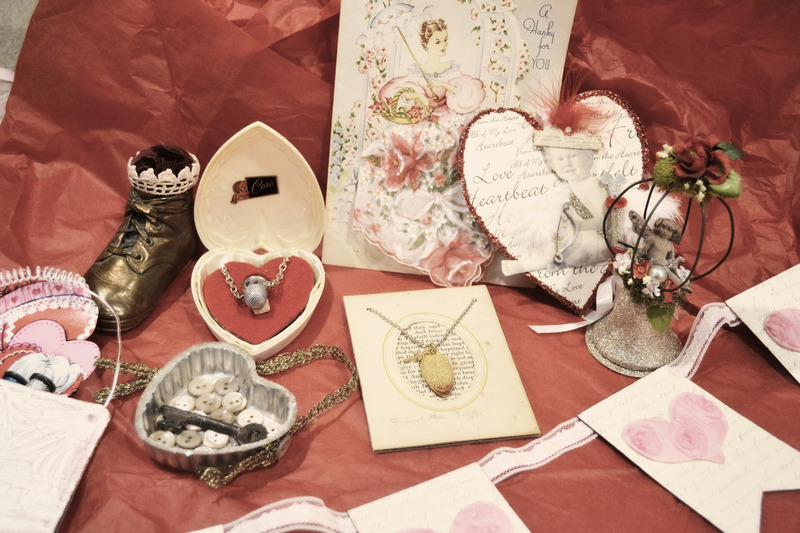 I mentioned earlier that I was involved in a Valentine Swap. It was hosted by Viv over at Viv Out On A Whim – Thank you Viv! And I was partnered with a most talented mixed media artist, Cheryl over at Artsy Fartsy. 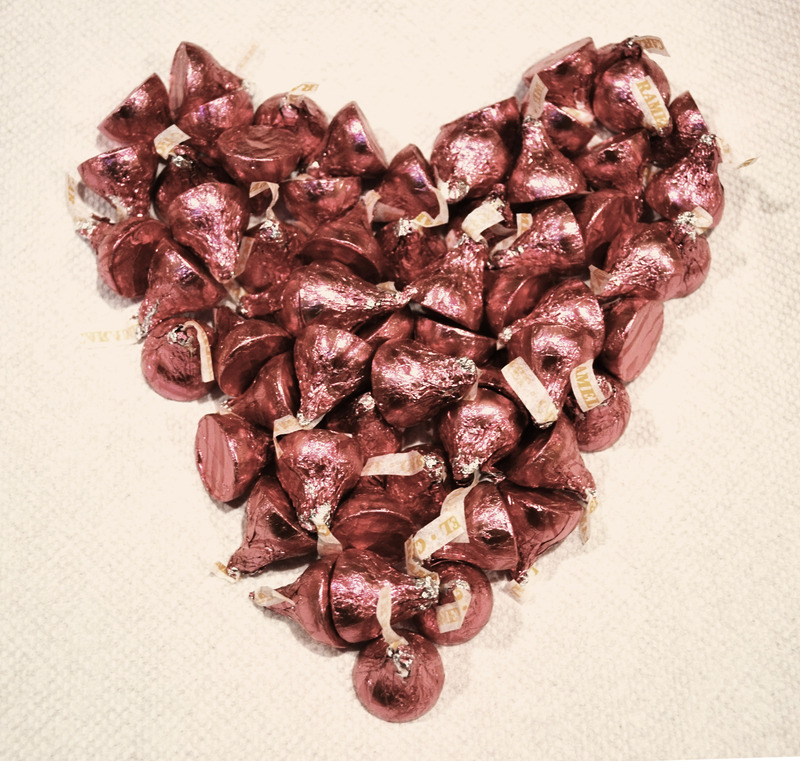 Cheryl sent me lots of goodies, including a bunch of caramel kisses! 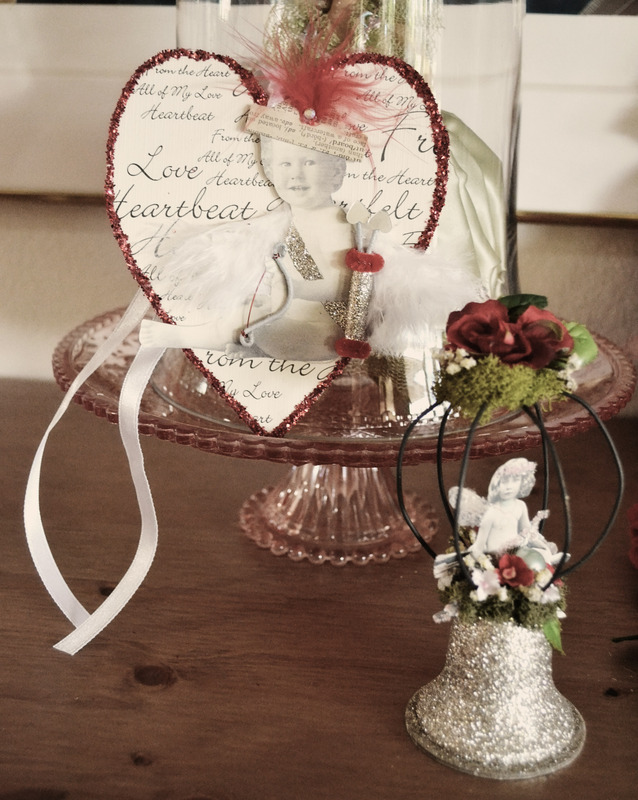 And I especially like the cupid tag she made using her husbands great-great-great grandfathers vintage photo as cupid! 🙂 Thank you Cheryl! In my never ending quest for good health, and simply to try and stay out of Medical offices, I joined a local hiking group. We have been hiking the hills surrounding our town and a neighboring one. The views are breathtaking, the hills are green, and hiking is becoming addictive! 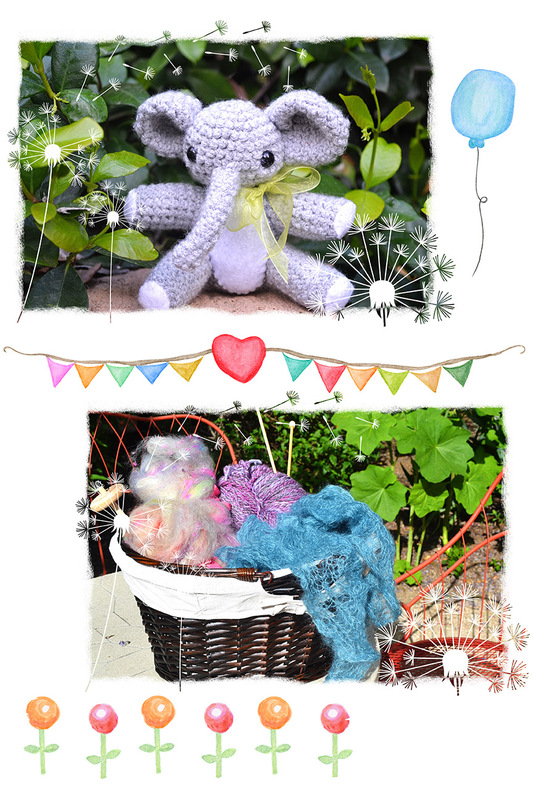 While dear daughter was home on spring break, she crocheted this adorable elephant for her friends birthday gift. I encouraged her to make more and I would put it in her Etsy shop. 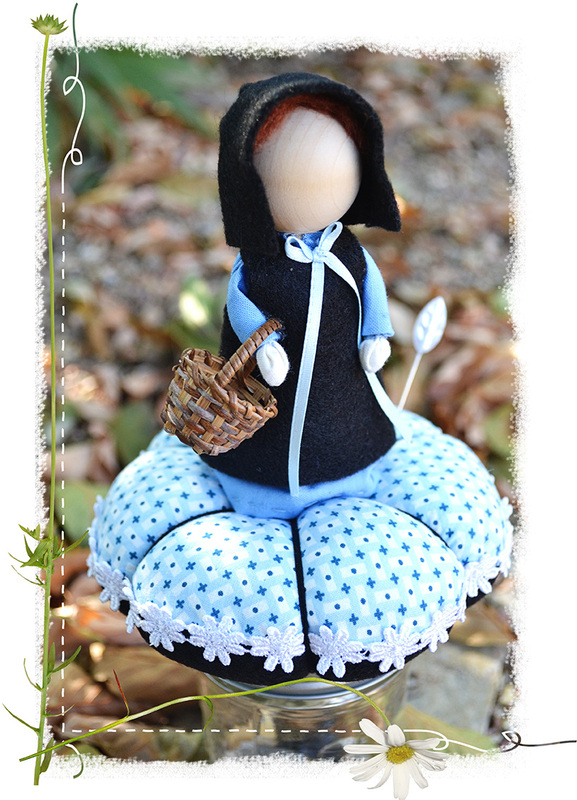 She is just like her mother… she prefers to make things and give them away as gifts rather than sell them. 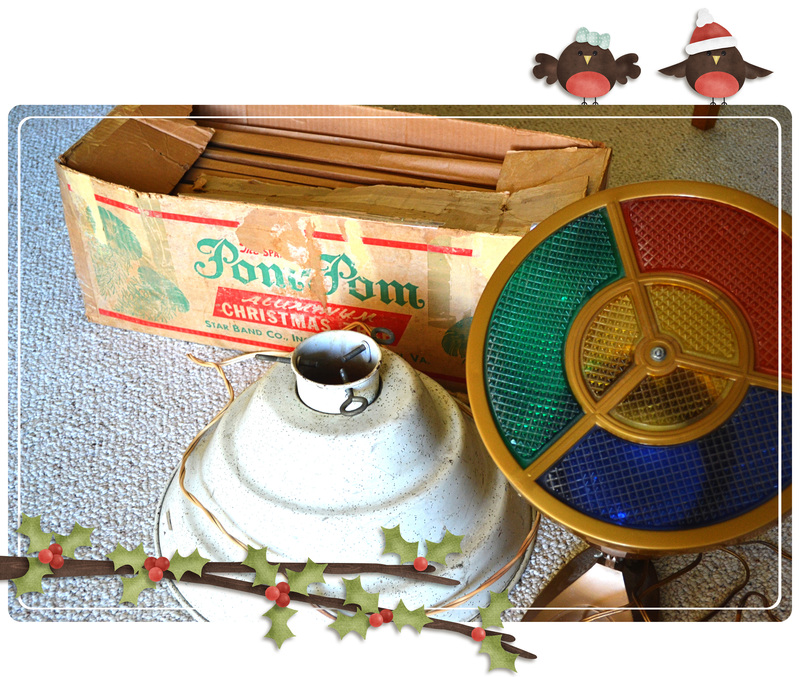 I have been on a lookout for a vintage aluminum Christmas tree for some time now. It just brings back memories of Christmas from when I was a little girl. Well, a very nice thrift shop owner promised me one, and I finally went to pick it up. It has the pom pom branches, and came with a rotating musical color wheel and rotating tree base – all in good working order. I am beyond excited to put it together for the holidays! Any way, she decided to close her store, and offered me a big box of vintage Christmas for a song. When I brought it home, dear hubby just looked at me, shook his head, and walked away… I have been saying that we need to purge and clean out our garage :). After sorting, and selectively organizing, I decided I really needed to pass most of it on to others. 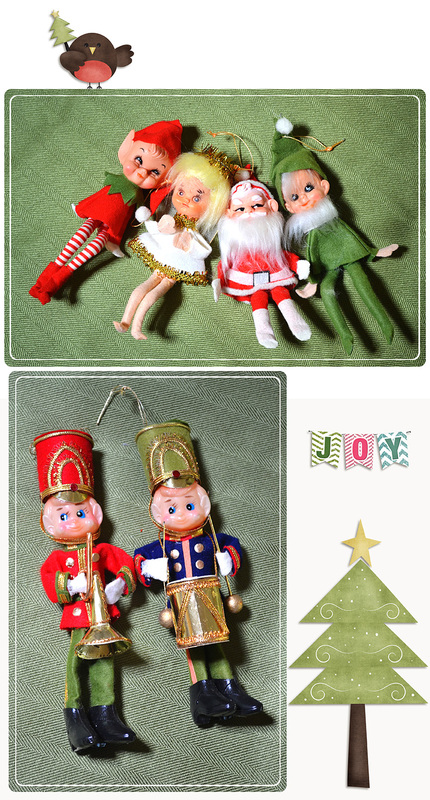 I put some aside, donated/gave away five bags, and kept just a few ornaments to give away on my blog. So, If you are interested, please leave me a comment. I will pick a random recipient on Wednesday, 16th. 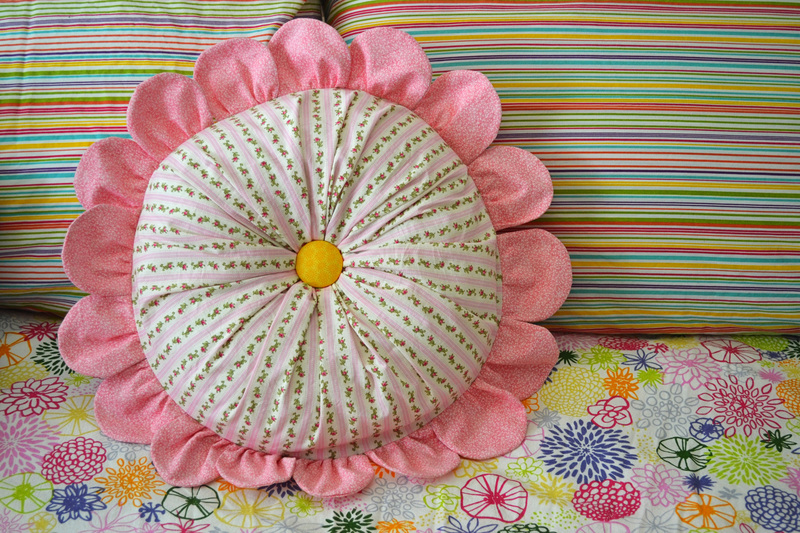 I love all things vintage, and with my current quilting obsession, I have come to love vintage fabrics. A package arrived the other day from my dear blog friend Nancy. 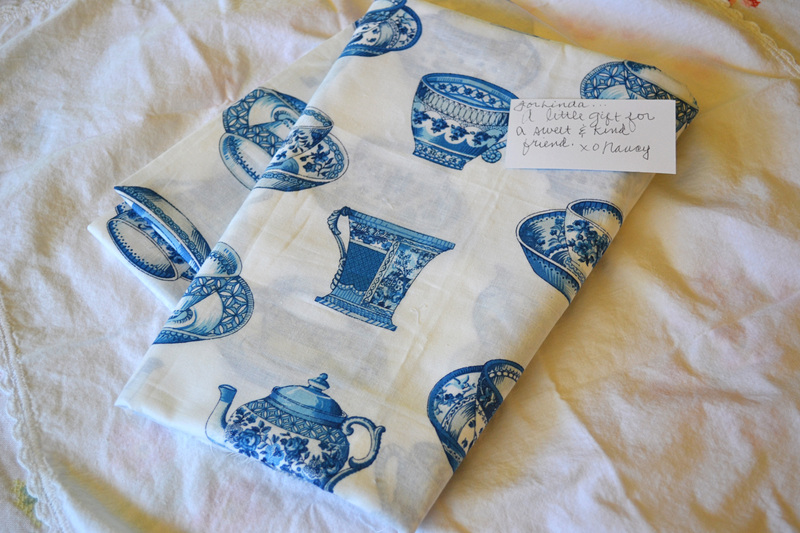 She sent me some teacup vintage fabric that she had kept for over 30 years! It is delightful, and I love it! Thank you Nancy! 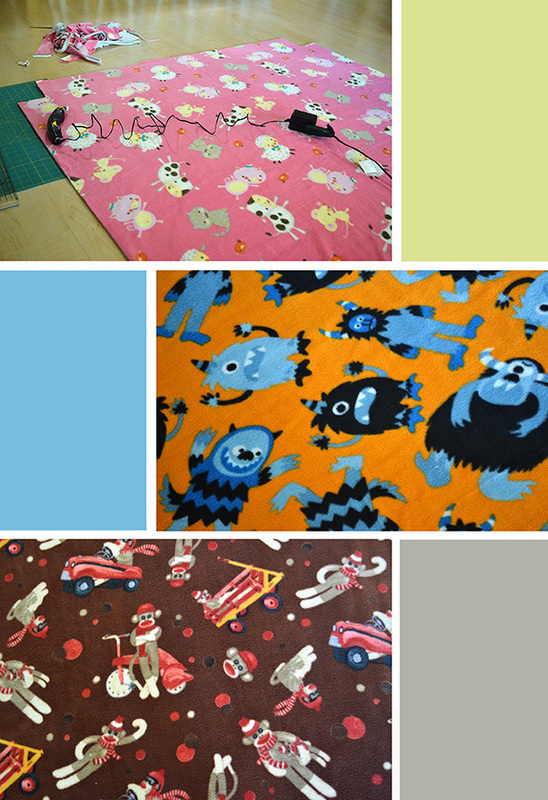 I will post again when I finish them – hopefully before Halloween! I’ve been keeping quite busy since dear daughter left for college. My thoughts on Empty Nesting, Hmmm… Odd. Before she left, I had moments of melancholy, didn’t last long, but it was sad all the same. Now, it’s just an odd feeling. I spent the first few days cleaning. And you know what’s amazing? whatever I picked up and cleaned, stayed that way! And I can now stay longer with my quilt group, have lunch with them, and not have to rush home. Like I said, it’s all very odd, strange… I think I can get used to this. And here they are, tied, washed, and ready to be delivered/mailed! Yup, another swap! 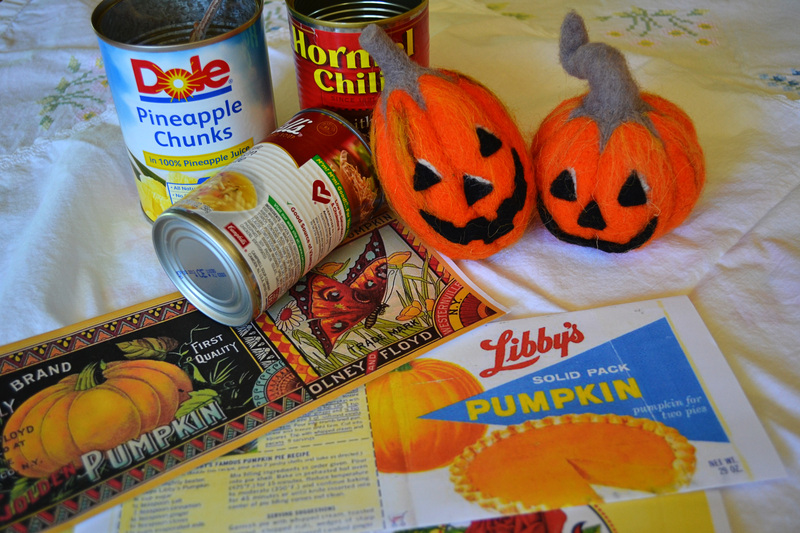 This time a Halloween Spoolie Swap hosted by Deb (Garage Sale Gal) and Sandy (521 Lake Street). 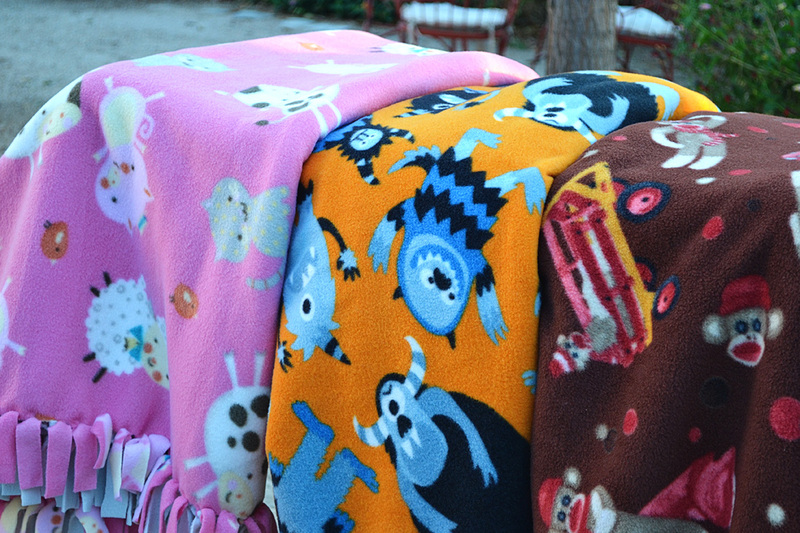 I was partnered with Debby (Cozy Blanket). 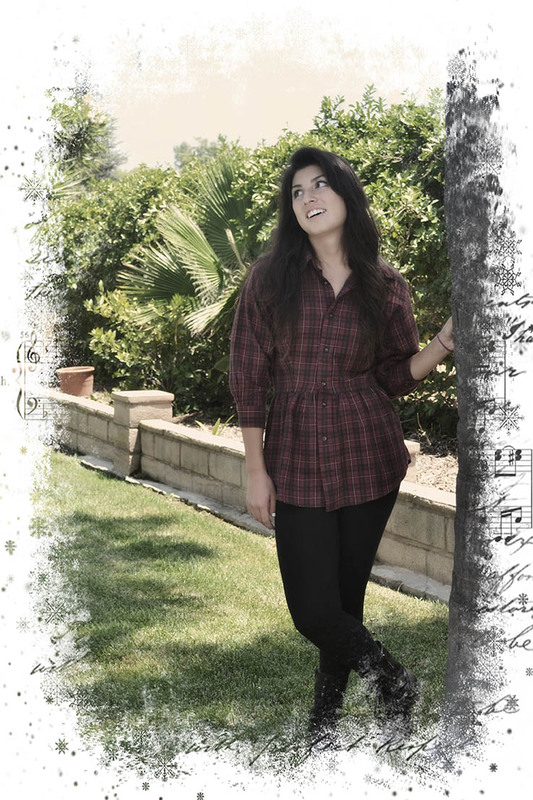 Debby is very sweet – I have participated in swaps hosted by her in the past. And look at the cute little ghost spoolie Debby made for me! She also sent me some yummy candy and fun stamps – yay! more crafting fun! 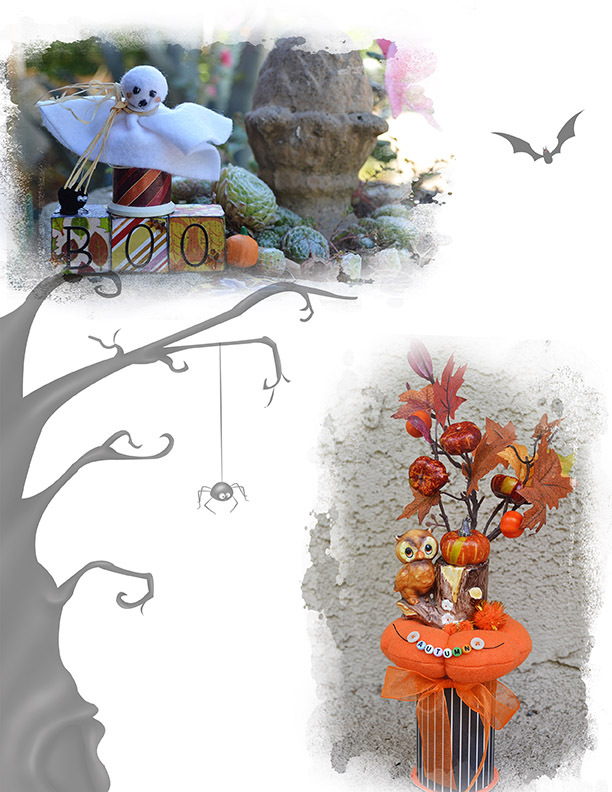 And the owl spoolie is what I made for Debby. She said she liked owls, and I just happened to have the right one. Thank you again to Deb & Sandy for hosting this fun event & Debby for being my partner! I took a break from quilting, and did a bit of cross stitching. During one of my perusals through a quilting blog ( I can’t remember the blog name) I came across this most wonderful cross stitching blog, The Snowflower Diaries. 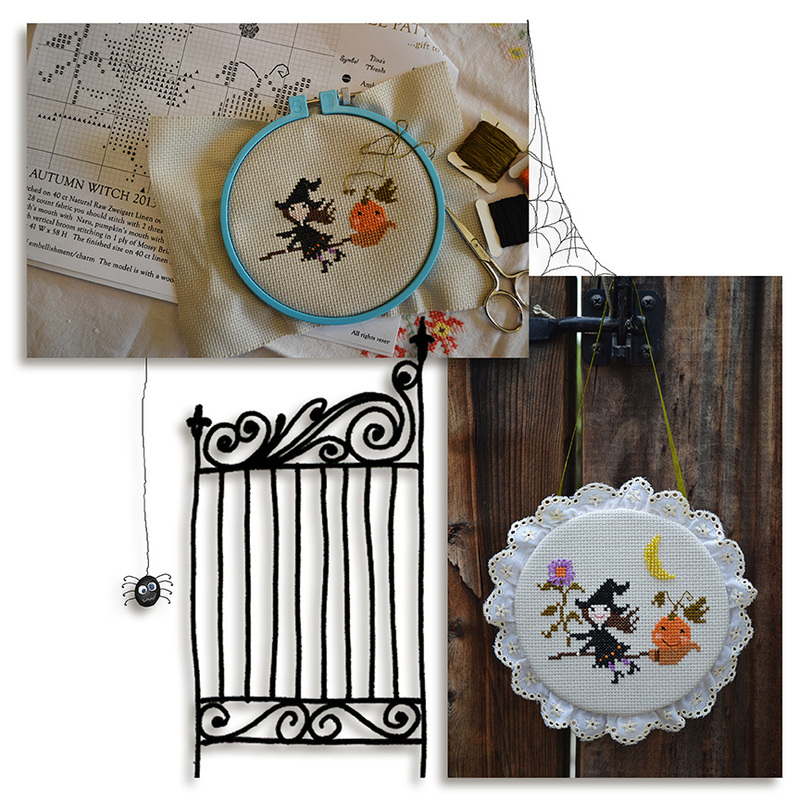 Maja has exquisite little cross stitch designs, and she shares her designs for free. 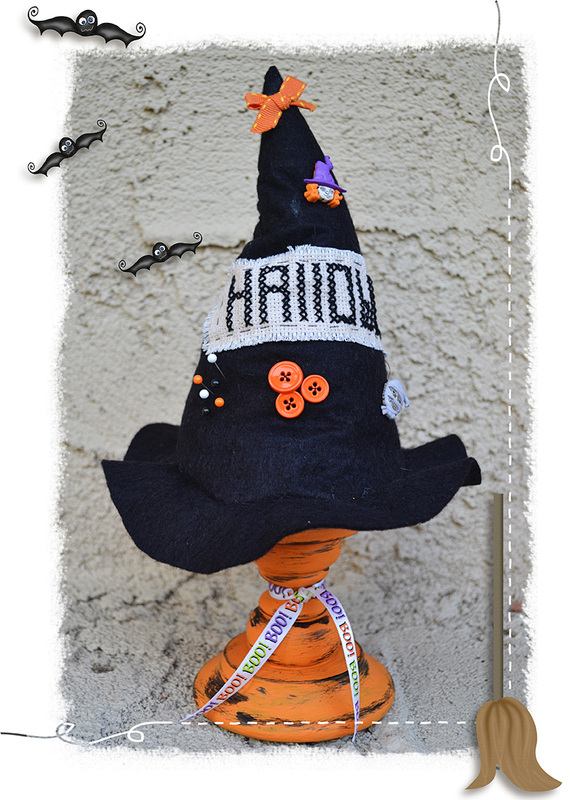 I stitched her Autumn Witch 2013. I didn’t have the wooden crescent moon button she used, so I just stitched one up with yellow seed beads. And I think I used double strand on the flower, so mine looks a bit big/thick. I think it came out pretty nice, and it was fun to do. If you’d like to give it a try, visit Nan, or go directly to Cotton & Curls.